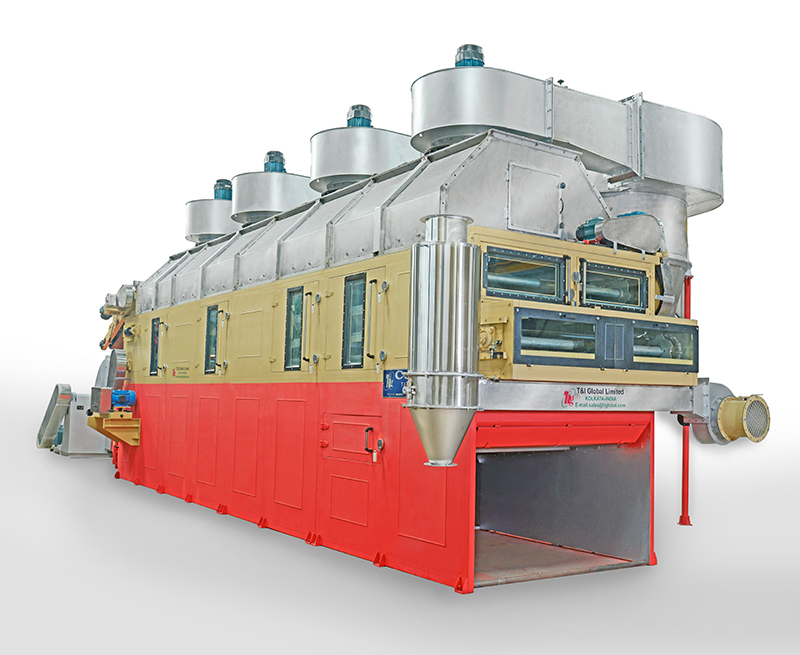 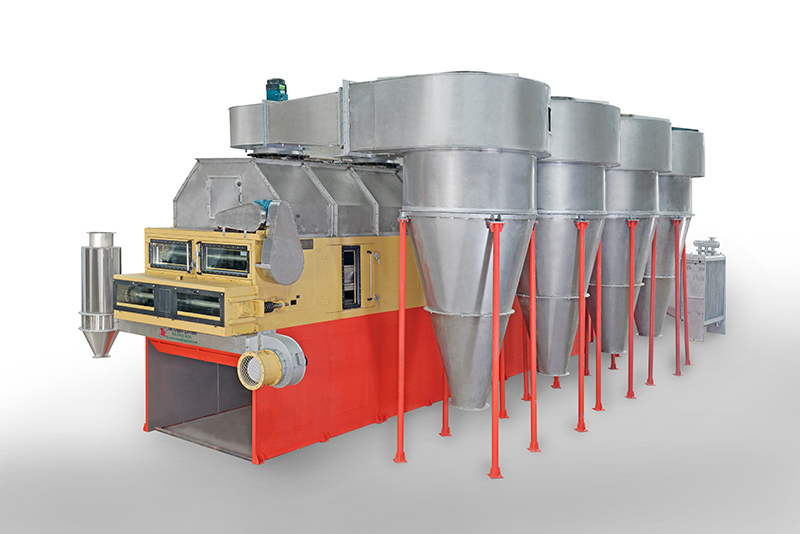 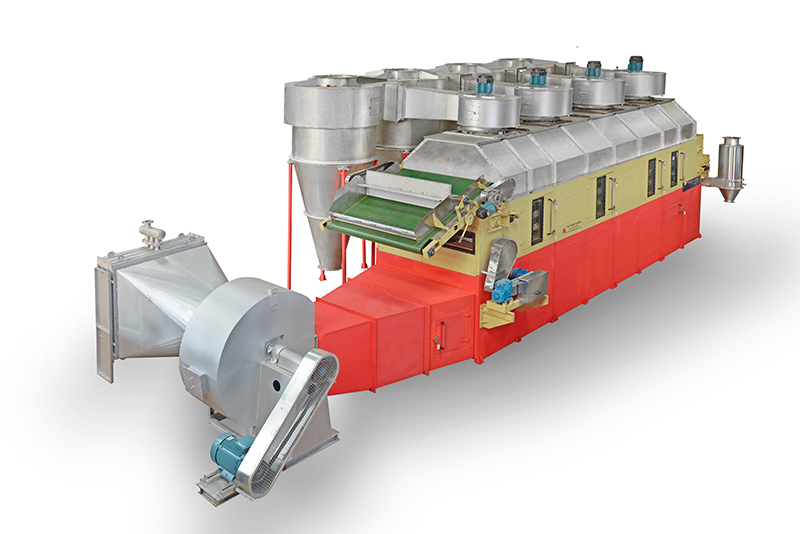 Conquest dryers have been specially designed for quality tea outputs at medium to moderately high hot air temperatures, making optimum use of both power and fuel. 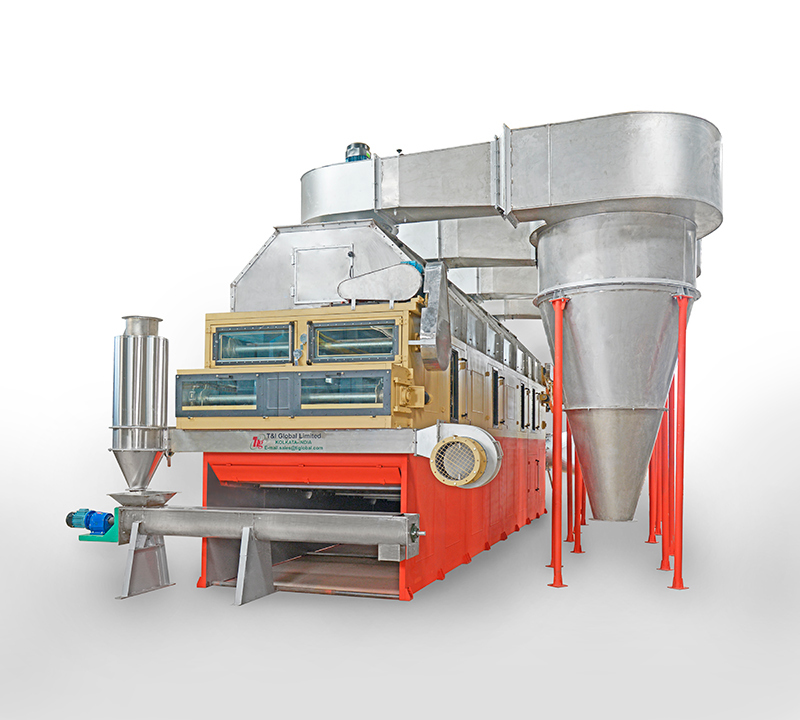 The material to be dried travels on perforated tray circuits before entering the fluidization zone. 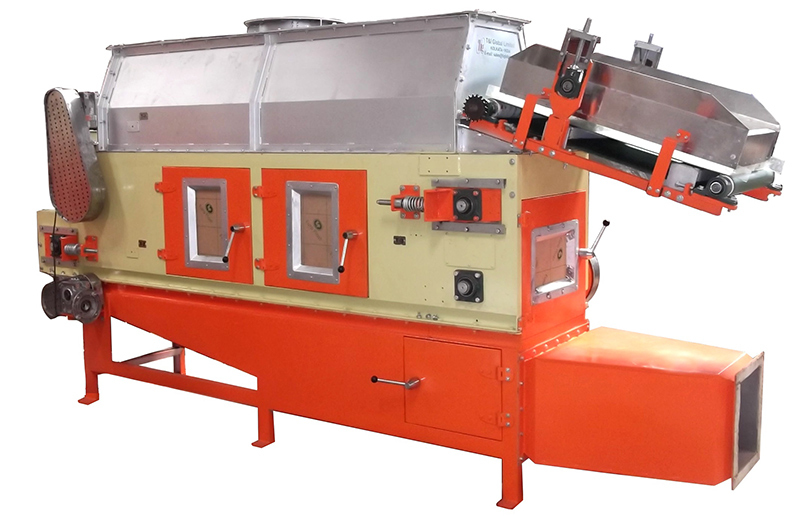 The trays carrying fermented tea are fitted on specially designed high load carrying capacity steel chain. 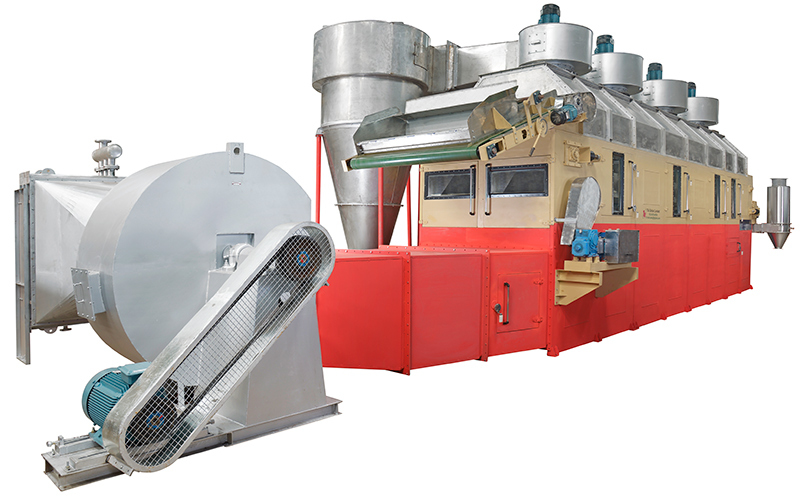 Eliminates possibility of disruption in manufacture due to snapping of tray carrying chain.